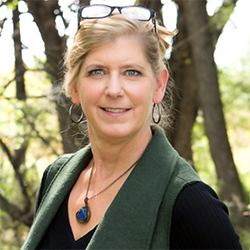 Dr. Teresa Penbrooke’s career has included over 30 years of private and non-profit business management, teaching, and research, including many years as a parks and recreation agency administrator and program coordinator for three different public agencies in Colorado. She is currently the Director of the Healthy Communities Research Group and Faculty for GP RED, a national non-profit that provides Research, Education, and Development for health, recreation, and land management agencies. Teresa is also the CEO and Founder of GreenPlay, LLC, a leading private parks, recreation, tourism, and open space consulting firm, which has completed community engagement and planning for over 500 communities in the U.S. and around the world since 1999. Teresa is currently a Curriculum Consultant and Affiliate Faculty at Metropolitan State University – Denver, and on the Board for Park Rx America. Teresa brings strong public lands and program management, outdoor recreation, preventive health, access to nature promotion, and experiential education experience. She now authors books and articles, teaches for state and national associations and universities, and consults on access to nature and health, operations, management, master planning, and community engagement. She has a BS in Kinesiology, a Masters in Organizational Management, and her PhD is in Parks, Recreation, and Tourism Management. She loves combining her natural intellectual curiosity, love of nature, entrepreneurial spirit, and public sector heart to help professionals and communities thrive. More information can be found at www.gpred.org or www.greenplayllc.com.